Our University of Notre Dame Jersey Stripes Flag, Bracket, and Flagpole Kit includes our 3x5 foot NCAA Officially Licensed Flag, Aluminum 6' Flagpole - Heavy Duty, and Aluminum Adjustable Flag Bracket. These are the recommended accessories to fly this 3' x 5' flag. 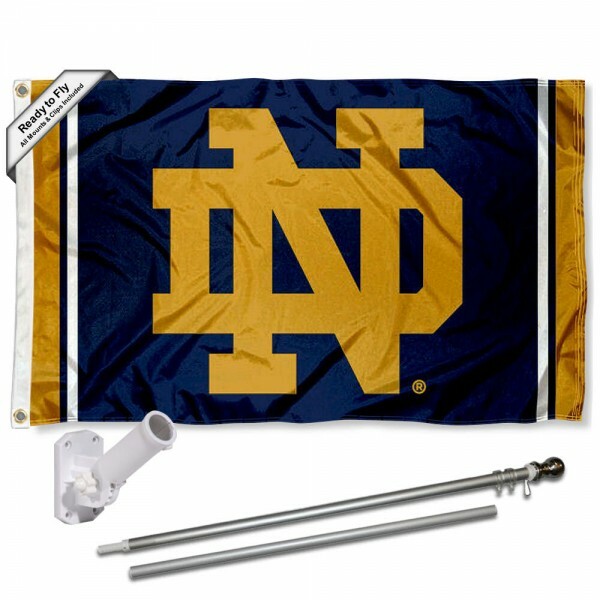 This University of Notre Dame Jersey Stripes Flag, Bracket, and Flagpole Kit is a great gift and all hardware is included so It's ready to install and to fly proudly!